Pulau Mabul, a small island paradise off the coast of Sabah, is recognized as one of the best place for muck diving and the only place in the world with the richest of small marine life. There are more than 20 dive sites surrounding Pulau Mabul with Flamboyant cuttlefish, harlequin shrimp, leaf scorpion fish, devil scorpion fish and more waiting to be discovered. For divers who are visiting Sipadan for diving, it is highly recommended to also incorporate Pulau Mabul into the diving trip. 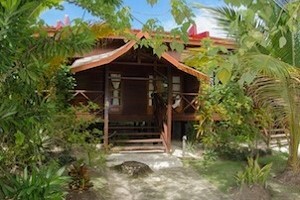 Find the best Pulau Mabul package that suit to your interest for an enjoyable island vacation. Click the links below to find out more.